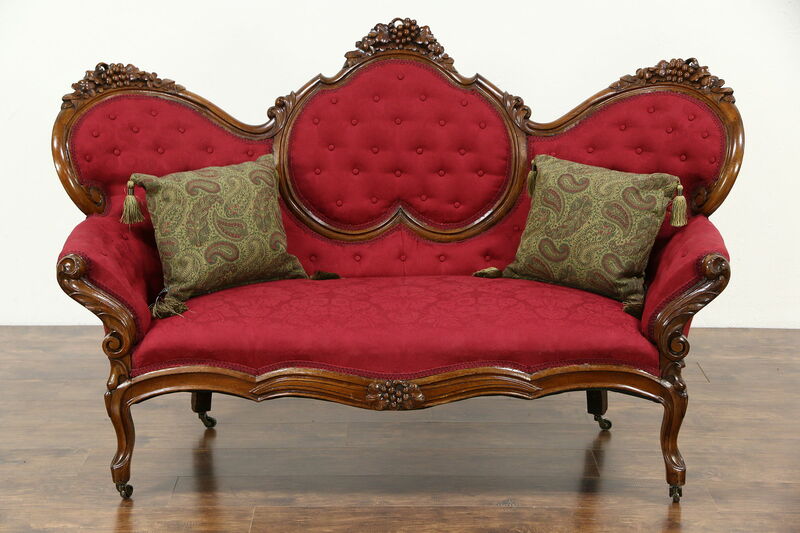 A Victorian period sofa from about 1860 was hand carved with a three dimensional grapevine motif. The finish is in very fine condition on this American made antique furniture. Gracefully curved, the frame is strong and tight. New red brocade upholstery has a hand stitched 4" repair just above the seat on the lower back, see photos. Seat springs are comfortable. Measurements are 66" long, 30" deep, 43" tall and the seat is 17" high.